Candidates who had written the exam are eagerly waiting for the Maharashtra SSC supply results which are released today. Maharashtra board had released class 10th results on June 13th, and overall pass percentage of the 10th class is 88.74%. 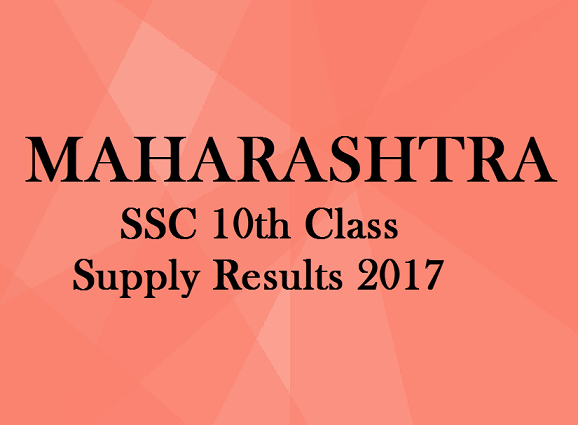 Students have to visit official Maharashtra board site to check MSBSHSE 10th class supply Results. Students who failed to score qualifying marks in one or more subjects had attended for supplementary exam. When compared to last year pass percentage had dipped to 5%. Maharashtra board gave a great opportunity for students who want to do plus one or intermediate and built up a career without a one-year loss. Maharashtra state Board of Secondary and Higher Secondary Education came into existence on January 1, 1966, to regulate certain matters about secondary education in Maharashtra state as “Maharashtra State Secondary Education Board.” The act was amended in 1976 and changed to “Maharashtra State Board of Secondary and Higher Secondary Education.” Yearly once it conducts SSC exam and candidates who appear for the exam can get the results on the official website. If needed take a copy or print out of the results or download.